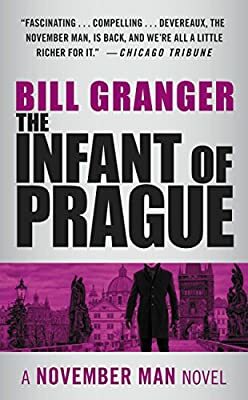 Author: Granger, Bill Set In . . . In the majestic silence of Chartres cathedral, Deveraux--code name November Man--receives his assignment: help Czechoslovakias' cultural liaison cross over to the West. A hard enough job, even without the added complicatin of an act of God. For in a humble Chicago parish church, the sacred statue of the Infant of Prague is found weeping real tears. A visiting Czech child star actress, transfigured by the wondrous event, declares, on live television, her intent to remain in American in the name of Christ and freedom. Only an operative as cynical and seasoned as the November Man can sense the sinister link between two dramatic, yet apparently unrelated defections. A miracle has plunged him into a vast global adventure. And it will take a miracle to get him through it alive.